Garrett Marshall received his Bachelor of Arts degree from the University of Michigan. Mr. Marshall received his J.D. from DePaul University College of Law. In 2016, he was admitted to the State Bar of California. 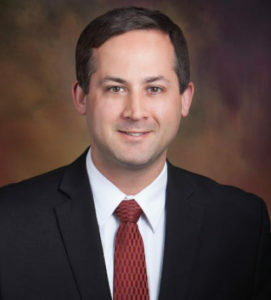 Mr. Marshall has extensive civil litigation experience throughout Illinois and California, including all phases of pretrial practice, arbitration, mediation, and jury trials. He also has experience as an arbitrator for Circuit Court of Cook County, Illinois. Garrett’s specialty practice areas include civil litigation, tort litigation, personal injury defense, premises liability, commercial claims defense, insurance defense, sexual misconduct, religious entities, daycare facilities, unfair and deceptive business practices.